Nowadays, it is possible to create a good quality website with or without any specific programming knowledge. Technological advances experienced by the market of websites creators offer us today several softwares adapted to the project of everyone, whether you are a SME wishing to sell its products online, an entrepreneur, or an individual wanting to make its appearance on internet. The comparative study below shall be limited to the following list: WIX and Weebly which are ideal for simple websites, and Prestashop for ecommerce websites. Since its creation in 2007 in San Francisco, Weebly offers to its 20 million registered, an intuitive tool for creating sites showcases, blogs or online responsive design shops that is suitable for any type of support (computers, phones or tablets). With Weebly, it is extremely simple to plan, build, publish and develop a site that meets your objectives. Weebly addresses itself to the market segment of any public, simple and affordable, CMS without special knowledge in programming. The tool is more and more appreciated by budgets small, eager to make their appearance on web 2.0. even if the platform offers a number restricted applications to integrate. On the contrary, for those users, this distinctive aspect of Weebly is perceived as a competitive advantage since it allows them to easily locate in the editor without getting any overwhelming features which they do not necessarily see the usefulness. That is why, Weebly is simple, no need to overdo for a such target audience. The company’s website offers a wide choice of easily customizable preconceived models to build a website that I would describe as visually satisfying. In addition, Weebly is one of the only hosted CMS to offer the ability to export its web site if you want to host it elsewhere (in 1&1 or OVH for example). With Weebly, pay whenever you want, there is no limit time imposed on the use of the free account. The only consideration is the presence in the footer of the site, the presence of a small ad banner Weebly. With the free offer of Weebly, the site is published under a generic domain name that takes the following form: www.accountname.weebly.com. However, to get a custom domain name such as www.domainname.com, Weebly users can subscribe to a paid subscription. 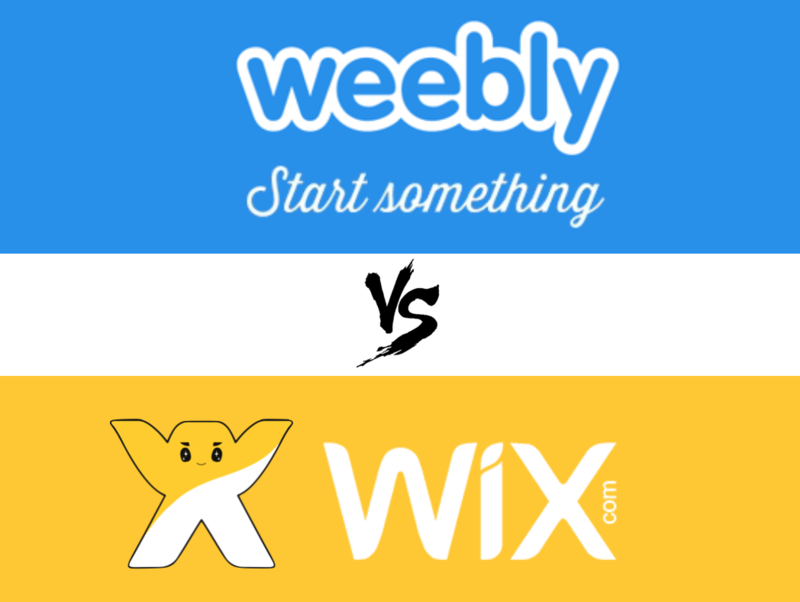 Furthermore, Weebly offers to its customers, as WIX, the opportunity to call a professional to help them creating their site. The Weebly platform for web professionals offering many advantages: first of all, it is possible to manage its clients via a back-office for example offering the possibility of preventing or not to modify a part or the totality of the created website, or even the ability to edit the HTML code to refine its design with an on live visualization of changes. The prices fixed by the designers are independent of Weebly which do not take any commission on the sale of the site. Weebly offers 3 packages depending on the use you make of your website. The offer starts at $ 3/month and goes up to $ 20/month for a total use of the software. In terms of price, I have not found any HTML5 online editor (using the technology of «drag-and – drop») cheaper than Weebly. Weebly is available in 11 different languages and it is an online software which is available 24/24 7/7 and this from everywhere in the world. Similarly, the Weebly professionals are visible to all users of the software who wish to contact a designer warned for the creation of their website, and 24/24 7/7 from anywhere in the world. However, to sell its services abroad the designer must be able to create a site in the adequate language. Weebly currently offers its customers a promotion depending on the duration of the subscription they subscribe. Longer is the duration of the contract and less is the price. The reductions range from 16% for 1 year subscription to 33% for 2 years.